Melanoma is one of the fastest growing cancers, quick to spread to your major organs and putting your life at risk. Dr. Hitchins’ routine skin screenings are available and recommended whether you’re at risk for the disease or not. The staff also provides valuable, educational resources to help you thoroughly check your own skin at home and identify signs of melanoma as soon as possible. Melanoma is often the result of your exposure to the sun’s ultraviolet A (UVA) and ultraviolet B (UVB) rays of light. These rays contain radiation from the sun, which travel through the atmosphere and are responsible for melanoma and other skin conditions, such as premature aging and damage to your eyes. Because the sun’s light rays cause skin cancer, it’s important that you always wear a high-quality, protective sunscreen that blocks these rays from damaging your skin. If you spend minimal time in the sun or most of your day outdoors, you should do regular skin checks. By checking your own skin at home, you increase the likelihood you’ll discover abnormalities in your skin as early as possible. Early identification of skin cancer is your best assurance for successful treatment. One of the most effective tools for identifying melanoma is to use the ABCDE method on all your moles. 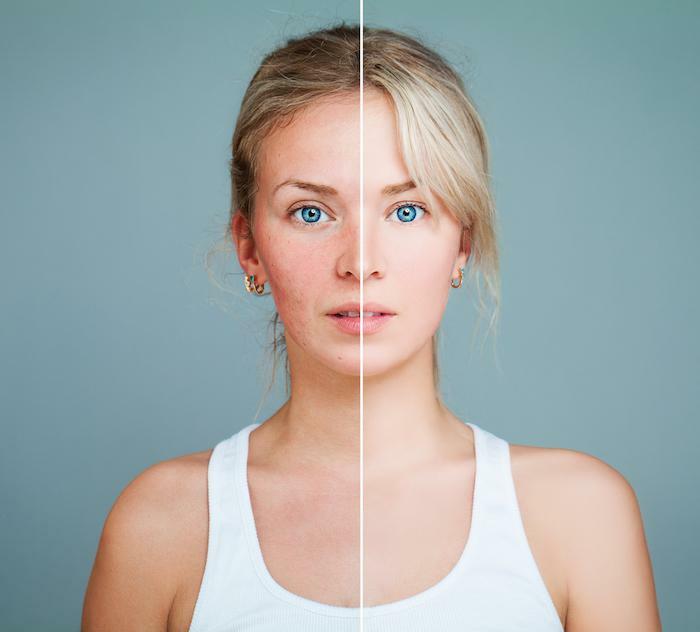 It’s changes in your existing moles or the development of new moles that may be your first sign that something is wrong. Look for moles that don’t appear asymmetrical, or each side of the mole doesn’t match the other. 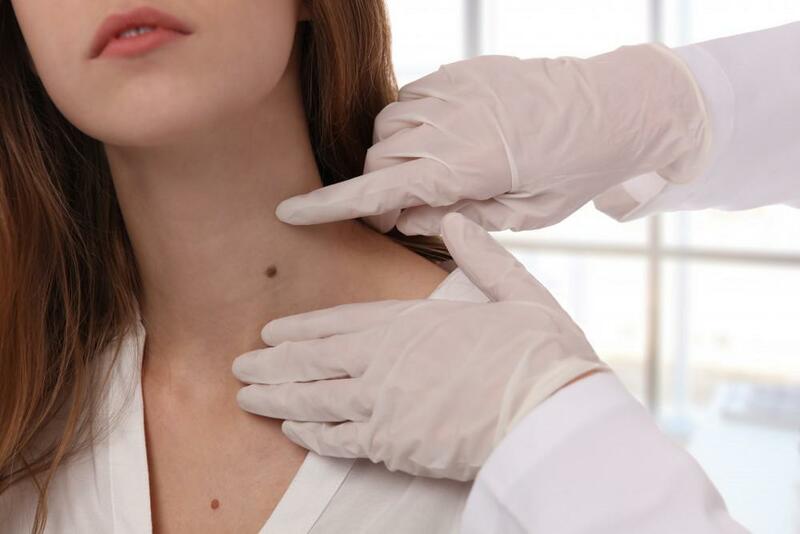 Observe the borders of your moles, checking for areas that appear to be notched, scalloped, or borders that are uneven. Moles are generally dark brown or black in color and any changes in shade or hue can indicate skin cancer. Common color changes include moles that turn darker than normal or are red, white, or blue in appearance. Moles shouldn’t be larger than the eraser of a pencil. Moles may be small at one point and may grow larger; these should be evaluated medically as soon as possible. If your moles begin to change over time, this can be cause for concern. In addition to changing colors and size, look for signs of crusting, bleeding, frequent itching, or any other noticeable changes from one at-home test to another. 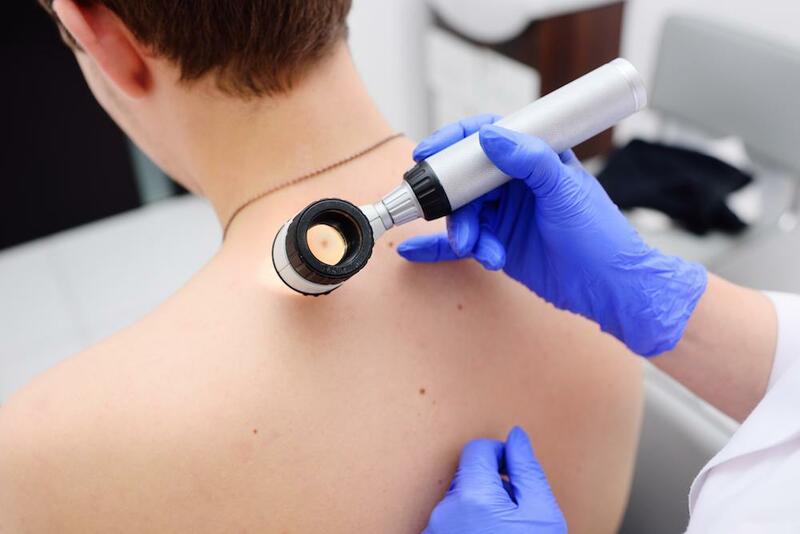 When any changes are notable in the appearance of moles on any part of your body, it’s best to schedule a full evaluation with Dr. Hitchins. Her expertise in diagnosing changing or unusual moles is necessary to create a custom treatment plan to prevent medical complications. Find out more about melanoma by scheduling a consultation online or by phone today. At least 35 million American adults and children struggle with the intense itching and irritation of eczema. Learn how these simple tips can help keep eczema flare-ups at bay.